Garage cabinets are an ideal solution for people who don’t want everything they own on display. As well, they offer safety for small children or pets as cabinets protect them from having access to things like sharp tools and toxic chemicals. As you weigh your cabinet options, the most important consideration is the material used to manufacture it and the strength it offers the garage cabinet to store heavy items. The materials used will affect how secure the cabinet and how much weight it can bear on its shelves and in the drawers. Some “big box” stores sell plastic cabinets and even some made of steel. While probably less expensive, the price tag often reflects their respective strength and flexibility. Given that space is almost always at a premium when organizing a garage, naturally we aim to use every inch of available space. 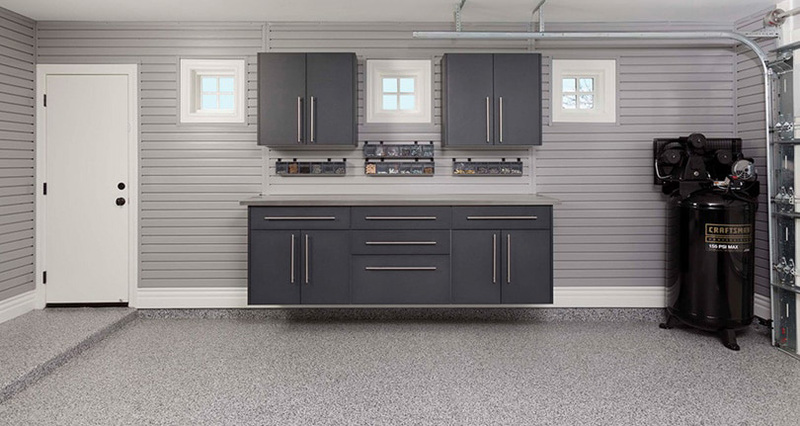 To do this, cabinets that are custom fit specifically to the space in your garage means that you can maximize the use of garage storage area within the space, as opposed to using pre-fabricated sized garage cabinets which may under use the potential storage space available. 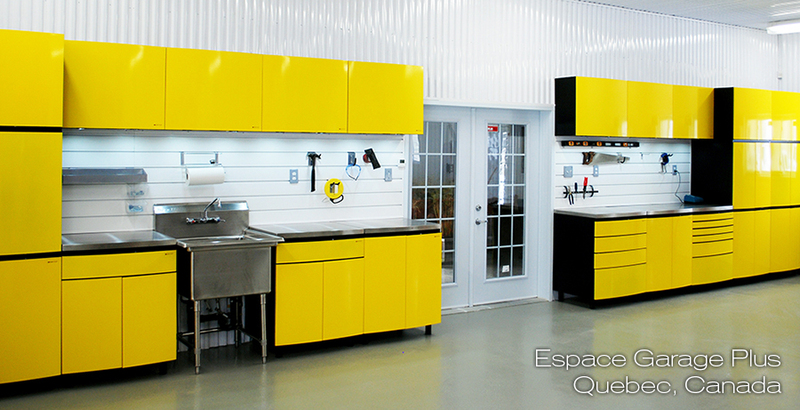 Onex steel cabinets come in 21 powder coated colours while Ctech cabinets offer 9 powder coated colours. Any of these cabinet choices are sturdy, look great, are resistant to animals, won’t rust and are easy to clean and maintain. 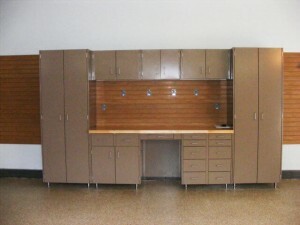 Cabinet types include base cabinets, upper cabinets, lockers and work benches. Each type is available in multiple heights, depths and widths. They have adjustable legs. This is important because garages have sloped floors for proper drainage but cabinets need to be level and square (or plum) to work properly so adjustable legs are the key to level cabinets which will stay safely upright even after they have been filled with heavier storage items. We recommend a few brands of garage cabinets including Hercke (good), Onex (better) and Ctech (best). Here is a chart outlining the various cabinet features and how they compare with each other. To learn more, schedule a free in-home consultation.